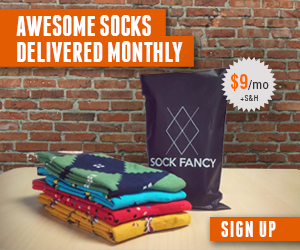 Where can you find Happy Socks in a sock of the month subscription? At this point, if you are on SockClubs.com, you likely are into socks. So you have most likely heard of Happy Socks. Happy Socks is often considered one of the original “fun sock” brands, and today they are certainly one of the largest and most well known sock brands. On the Happy Socks website, you can buy socks online for men, for women, and also shop additional undergarments such as underwear. Or, you can browse by category such as athletic, dress, or “happy” category. Happy Socks also can be found in select retail stores, where you can see in person the variety of designs and patterns in their sock collection. However, there is one clear gap on the Happy Socks website – there is no sock subscription option! But, you can actually find Happy Socks included in the subscription packages of other sock of the month clubs. Here’s the list of the best sock of the month clubs that will carry Happy Socks, at least occasionally. This sock of the month club run by a couple out of LA carries a host of brand name socks, including Happy Socks, Richer Poorer Socks, Sock it to Me, Socksmith, and more. Each month you receive a new surprise brand name. We’ve covered Sockscribe in the past as one of the more popular sock subscriptions because of its simplicity. They carry top brand socks including Happy Socks, Zulu Zion, and Richer Poorer socks as part of their monthly deliveries. 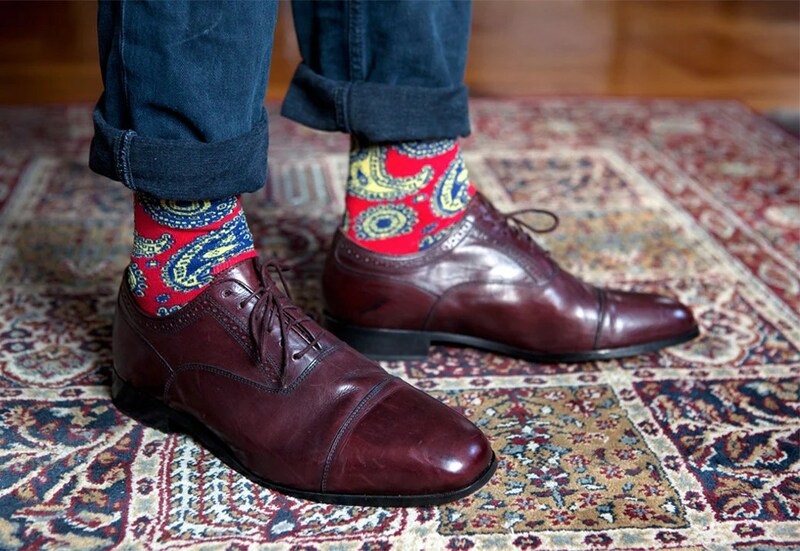 Zoraab is a sock brand that has a sock subscription we have written about previously. Zoraab is unique in that they make their own brand of socks, but also carry other brands such as Happy Socks, K.Bell, Hot Sox, and more. Have you found a subscription of Happy Socks somewhere and want to let us know? Contact us! The Zoraab Kit is a monthly sock subscription service. You can customize who your sock is for, the style, number of socks, and payment options. Zoraab has been around for many years and has a great reputation for delivering amazing fun socks that make you happy when you put them on your feet. Sign up for the Zoraab Sock Subscription here.